Today is one of those days that might not seem like a big deal at the time, but years from now, when “Drone Pilot” is listed as one of the most lucrative jobs of 2025, it’ll be August 29th, 2016 that will be remembered as the day that all became possible. Today Part 107 of the FAA regulations goes into effect. If you’re a drone hobbyist, then you really don’t need to worry yourself with all the new regulations, they won’t be affecting you. However, if your dream is to make a living flying your drone, pay attention. Part 107 was written up and finalized back on June 21st, and while you may think that 2 months is a long time wait for a policy to go into effect, in government terms that amount of time is so fast it’s almost unheard of. It’s also relatively easy to understand. You can check out the press release for it here, or if you’re feeling particularly adventurous you can read the actual regulations here. I read both of them and fortunately I only gouged one of my eyes out. Hopefully I can transcribe what I read in an easy to understand way for the rest of you. And before you thank me for my sacrifice, know that I’ve been wanting to rock an eye-patch for some time now. Drones have to weigh less than 55 lbs. Drones cannot fly over 400 ft.
Drones cannot fly over 100 mph. Drone can only be flown during daylight hours, or during twilight hours if the drone has anti-collision lights. Drones cannot be flown over unprotected people on the ground who aren’t directly participating in the UAS operation. Person flying the drone must be 16 years of age or older. Person flying the drone must have a remote pilot certificate, or be directly supervised by someone who does. In order to get a remote pilot certificate, person must pass an initial aeronautical knowledge test at an FAA approved knowledge testing center or have an existing non-student PART 61 pilot certificate. TSA will conduct a security background check on anyone applying for a remote pilot certificate. See what I mean? Pretty straightforward stuff. There are a couple of points that require a little further explanation though. For example, “Drones cannot be flown over unprotected people on the ground who aren’t directly participating in the UAS operation”? How are you supposed to monitor that if you’re job requires you fly your drone in a populated area? Fortunately, the FAA will be offering waivers via their website that the pilot can apply for. Basically what this means is that if your drone crashes into something or someone, you’re responsible for it, not the FAA. There’s also the question of privacy and safety checks, both of which the FAA is staying out of. 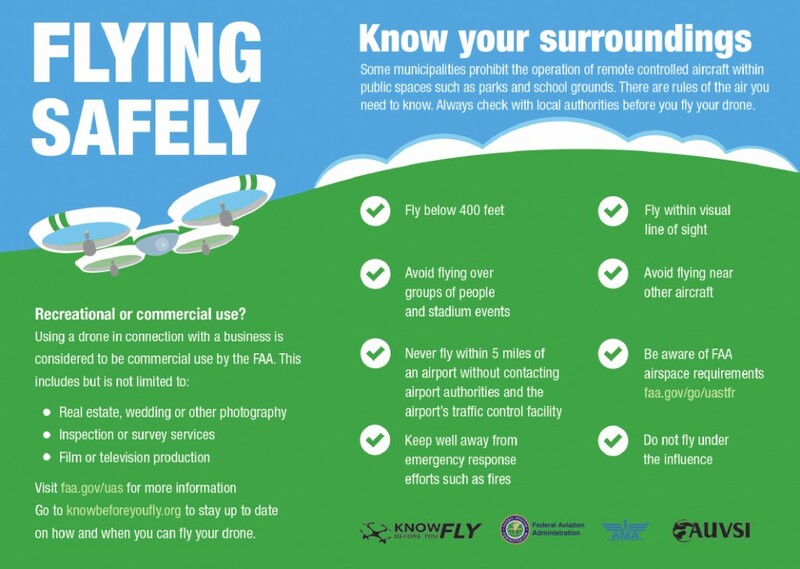 Their official stance on privacy is “The FAA does not regulate how drones gather data on people or property.” However, they are providing drone users with recommended privacy guidelines as part of the UAS registration process and the FAA’s B4UFly mobile app. In terms of safety checks, that responsibility again falls on the pilot. The FAA is not requiring drones to comply with current agency airworthiness standards or aircraft certification. 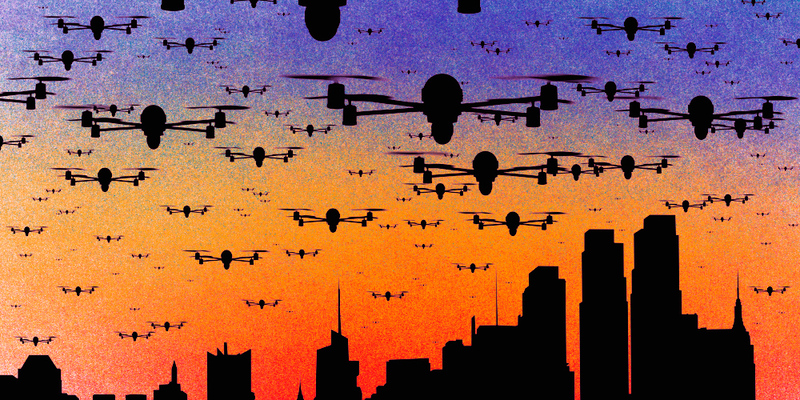 Industry estimates that with these new laws put in place, the drone industry will create $82 billion dollars for the US economy and create more than 100,000 new jobs over the next 10 years. If you haven’t thought about turning your passion for drones into a career before, now might be a good time to start.